Marketing is an organizational activity that enterprises can't afford to overlook if visibility and profitability are to be amplified. The recent times have witnessed an increase in enterprises adopting cutting-edge technologies for marketing activities. 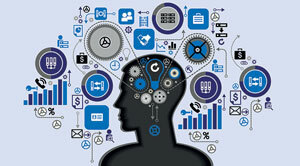 Enterprises employing artificial intelligence disciplines such as machine learning to develop intuitive, interactive websites to entice potential customers is an instance. Several organizations are now turning towards data science to tailor marketing activities since the discipline has been quite effective in enhancing profitability. Many industry veterans opine that marketers need to think from a data scientist's perspective to initiate marketing strategies that resonate with a target audience better. Many marketing professionals are currently adopting predictive, descriptive and prescriptive analytics to increase the probability of customer success. Analytic tools help decision makers compare historical and real-time data to understand changes in market behavior over a significant period and devise marketing plans accordingly. Enterprise bosses are also availing the consulting services of highly experienced data scientists to build predictive models to ensure marketing efforts do not go futile. Generally, such models have been quite successful inaccurate assessment of the Total Addressable Market (TAM) and the probable customer response to a marketing event. The social media boom has made it a lot more convenient for marketing professionals to observe their audience better by indulging in publicity stunts. Data science is here to stay, and the effective utilization of the discipline is sure to yield rich dividends.